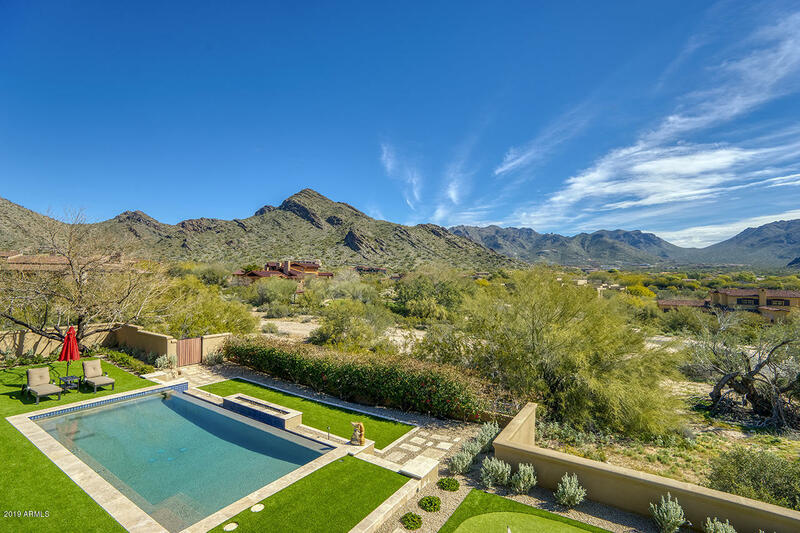 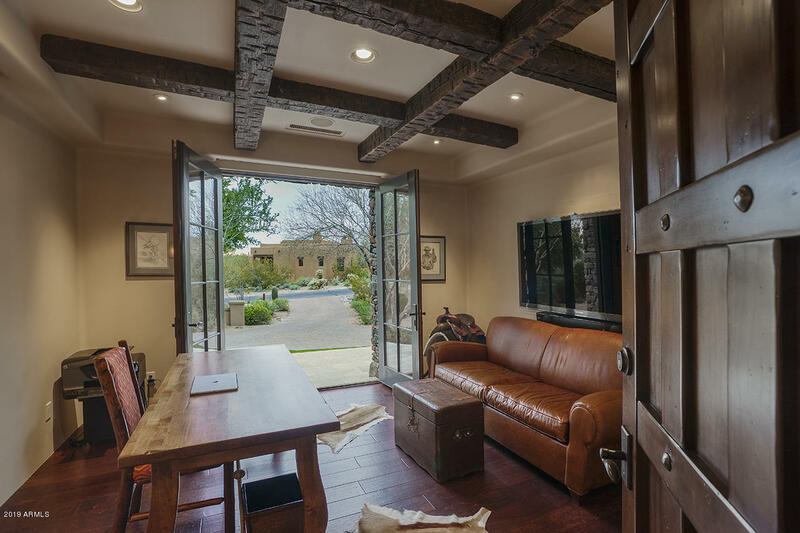 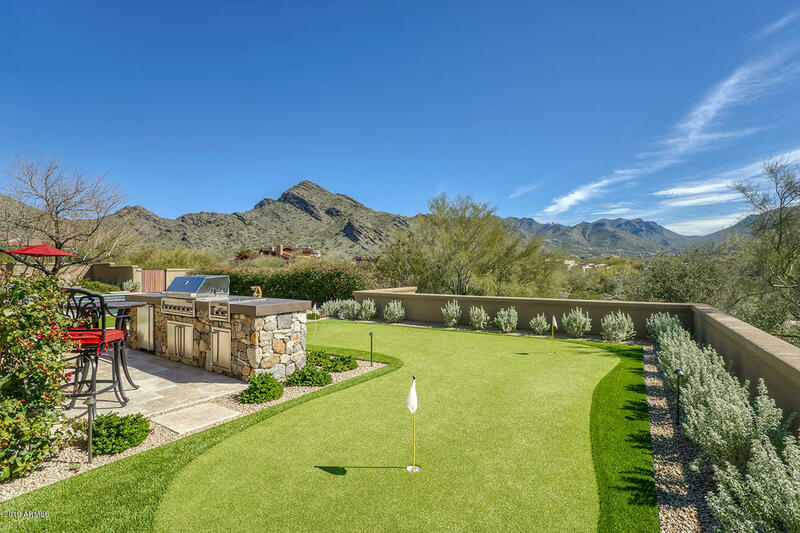 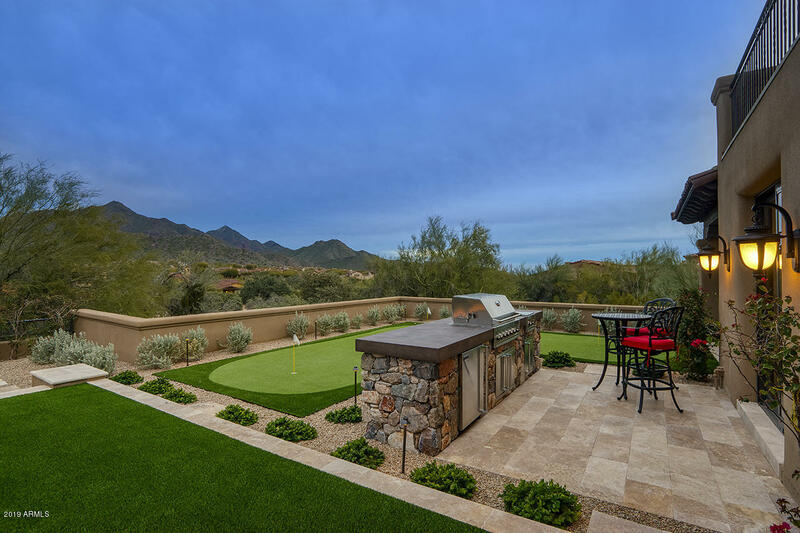 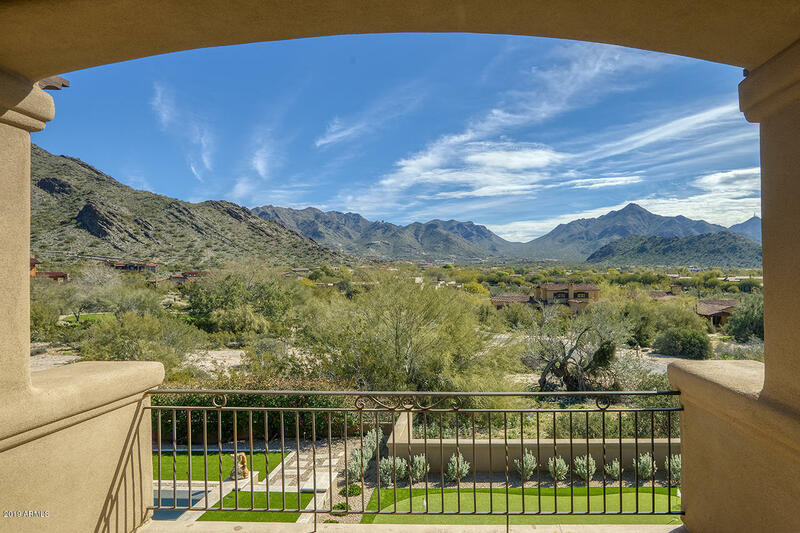 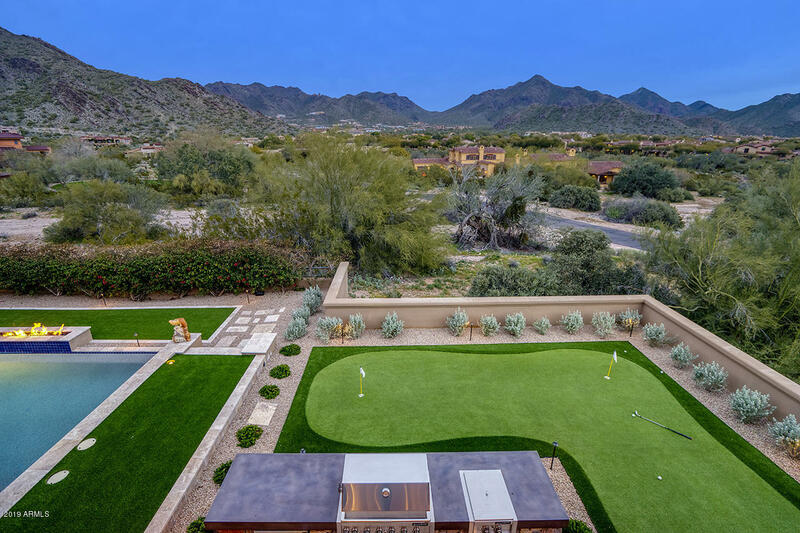 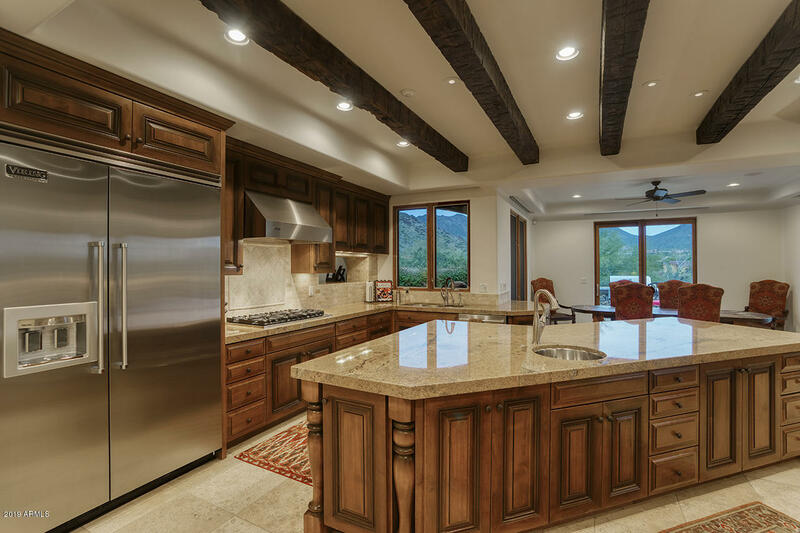 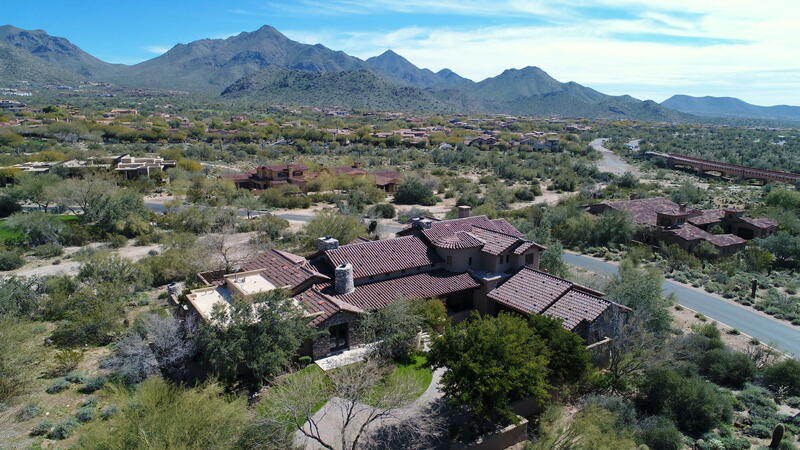 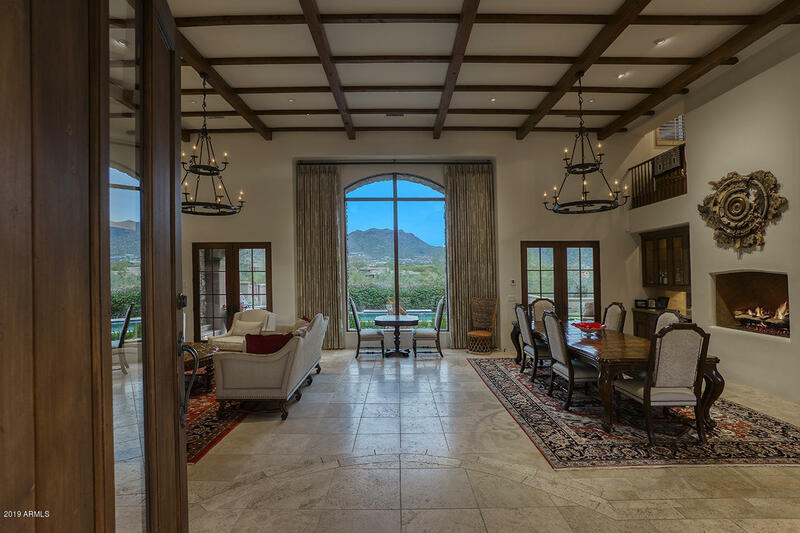 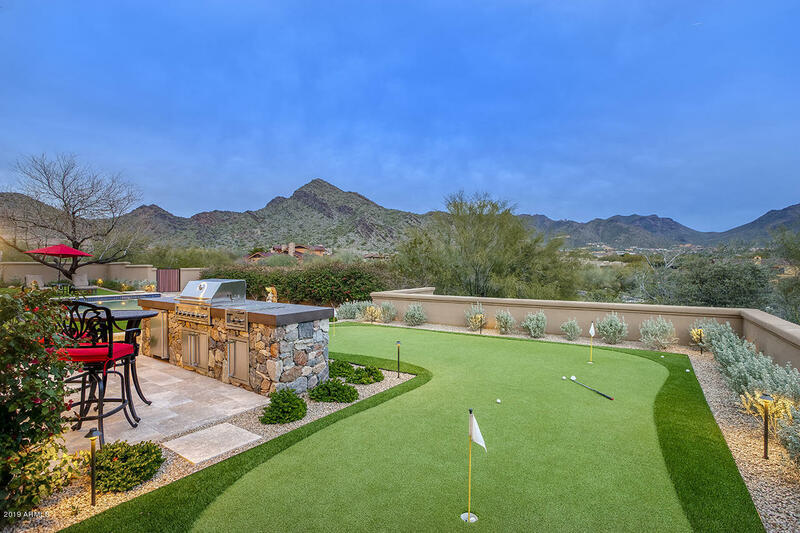 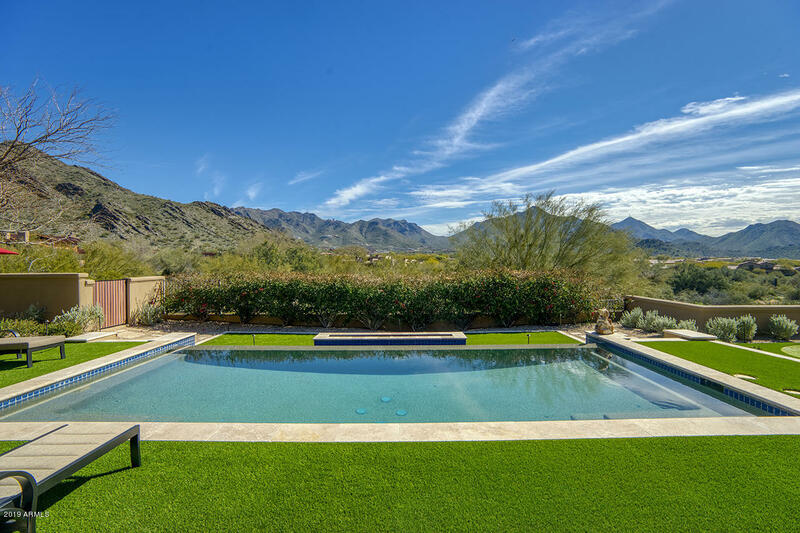 Postcard worthy views of recognized Tom's Thumb and the McDowells from the moment you enter this Salcito custom in the Country Club at DC Ranch. 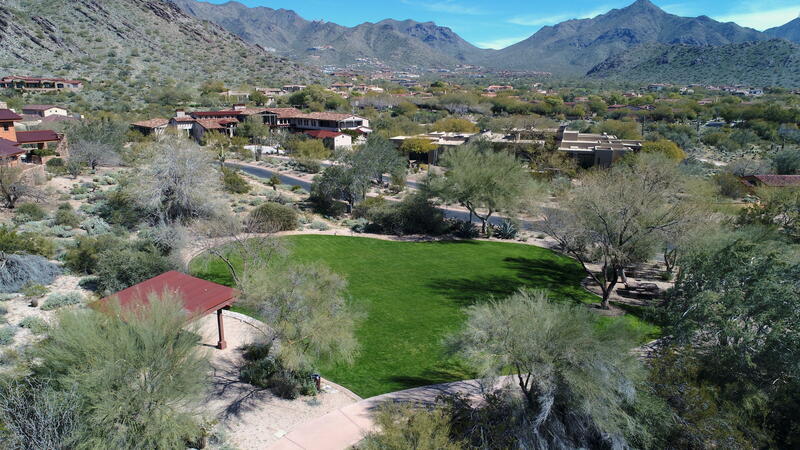 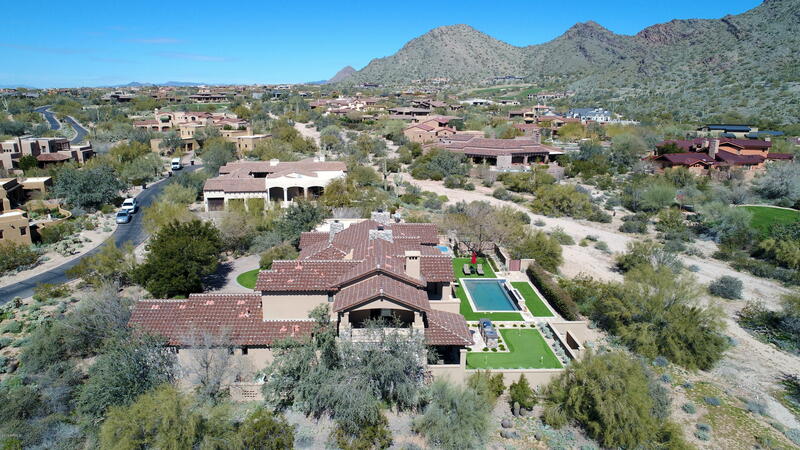 Backing to a natural open space with nearby community park, this estate boasts panoramic mountain views and city lights. 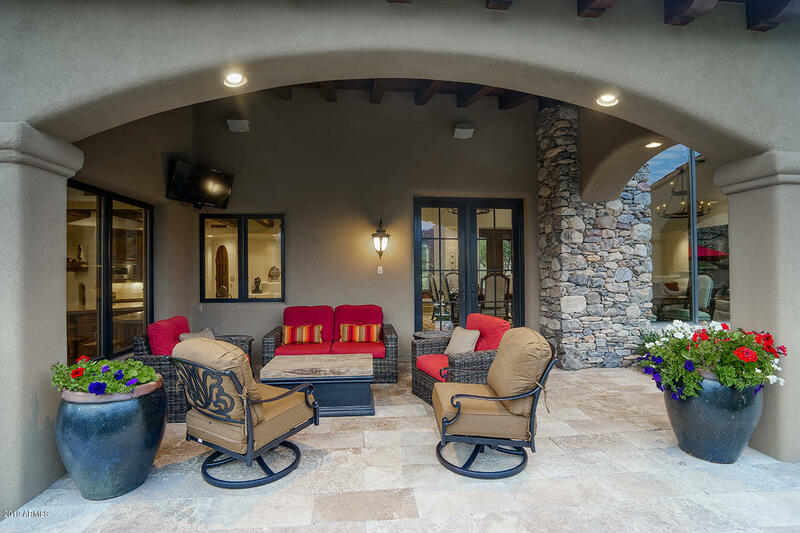 Premier resort style living in this private back yard with generous covered patios, stylish linear pool, separated spa off downstairs master with fireplace, turf for play, putting green, Bocce ball court, and BBQ island. 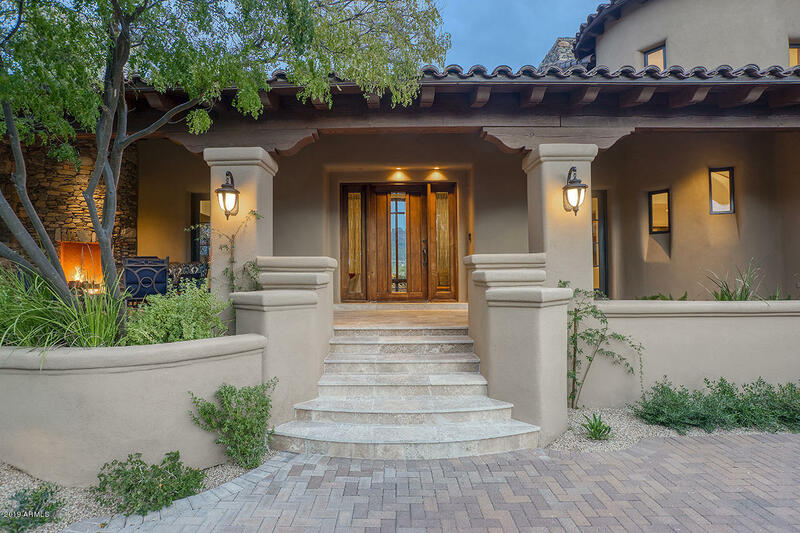 Beautifully set back with lush mature landscape, charming front porch, and extended drive gives this home remarkable curb appeal. 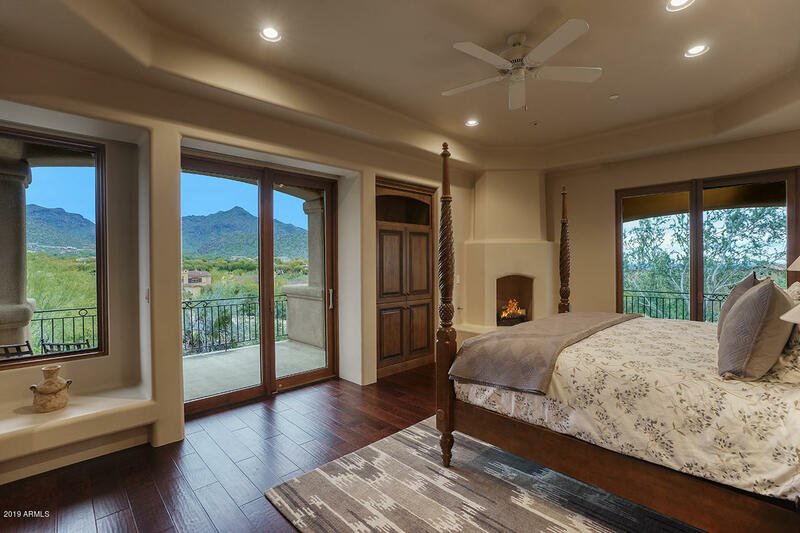 With dual master suites, and an additional two ensuite bedrooms plus office the livability opportunities are limitless in this grand estate. 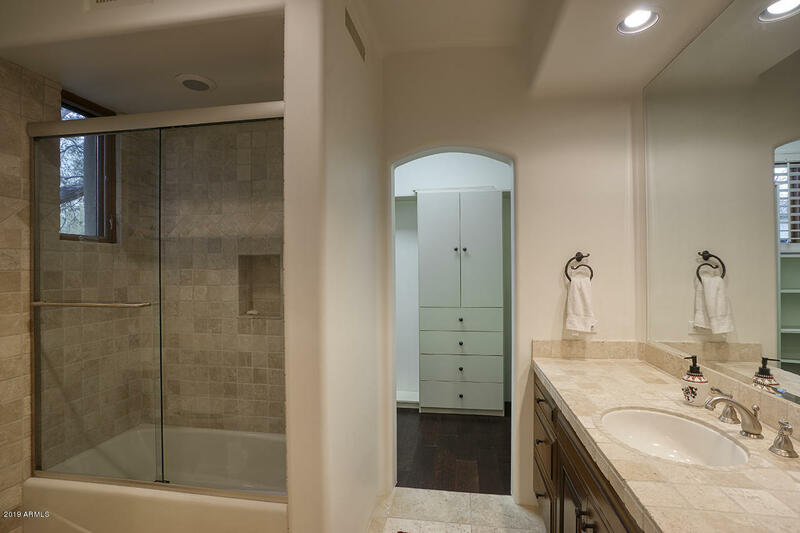 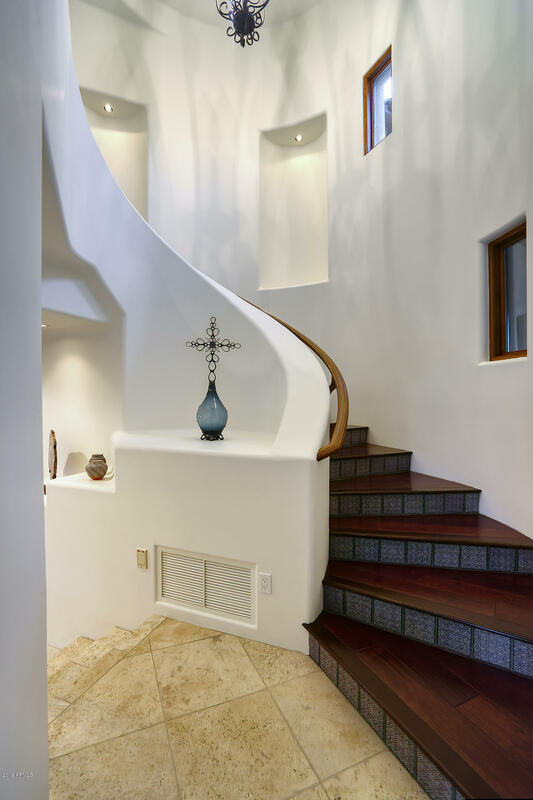 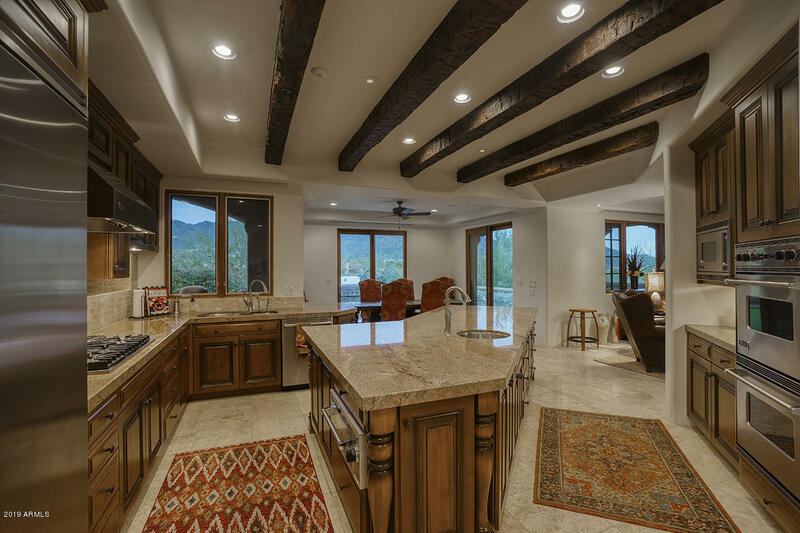 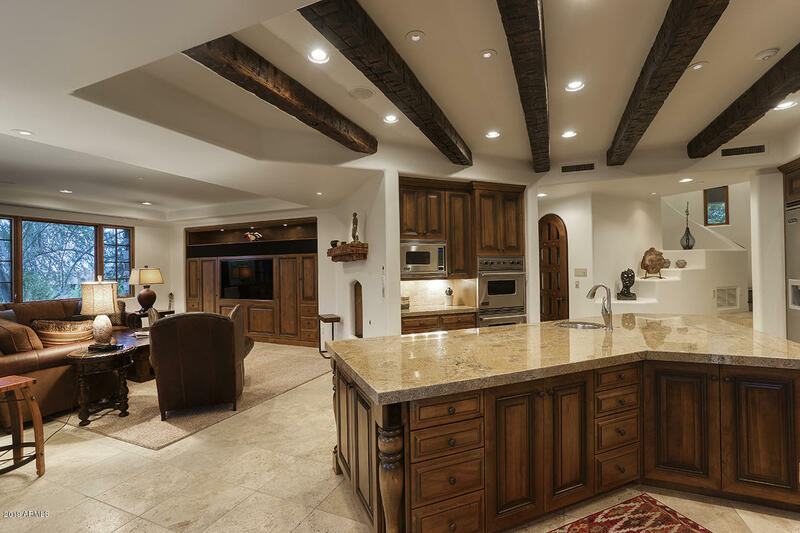 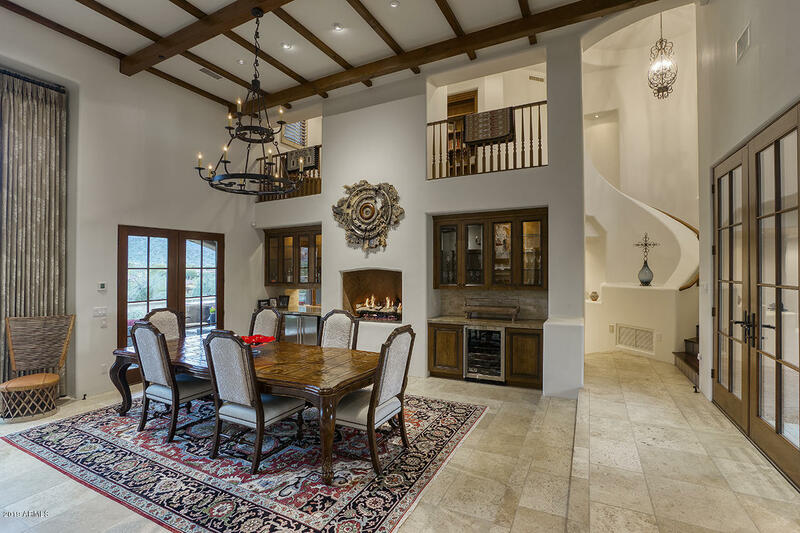 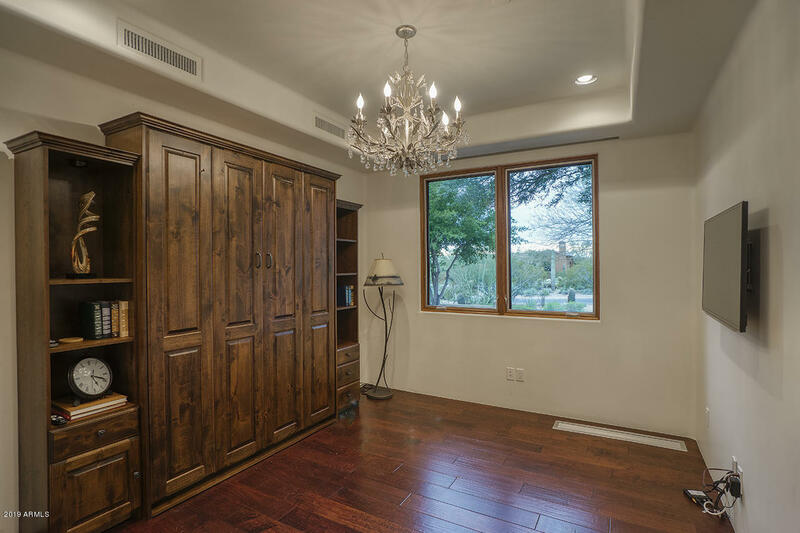 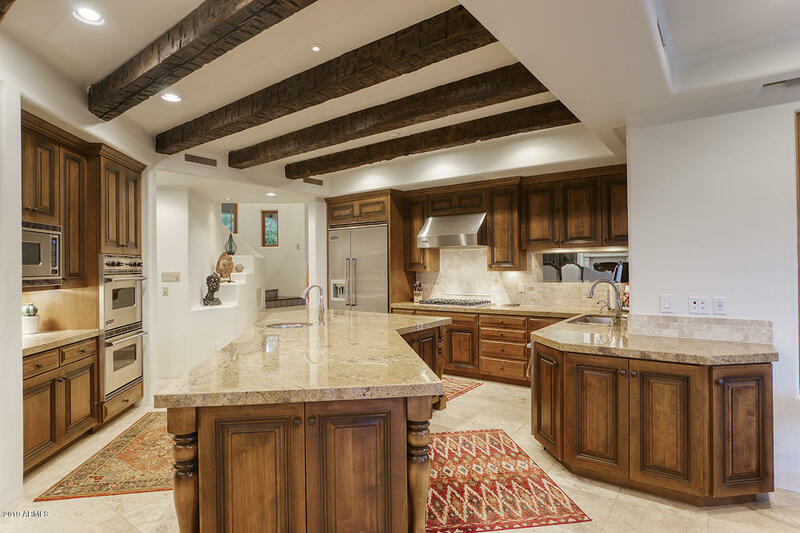 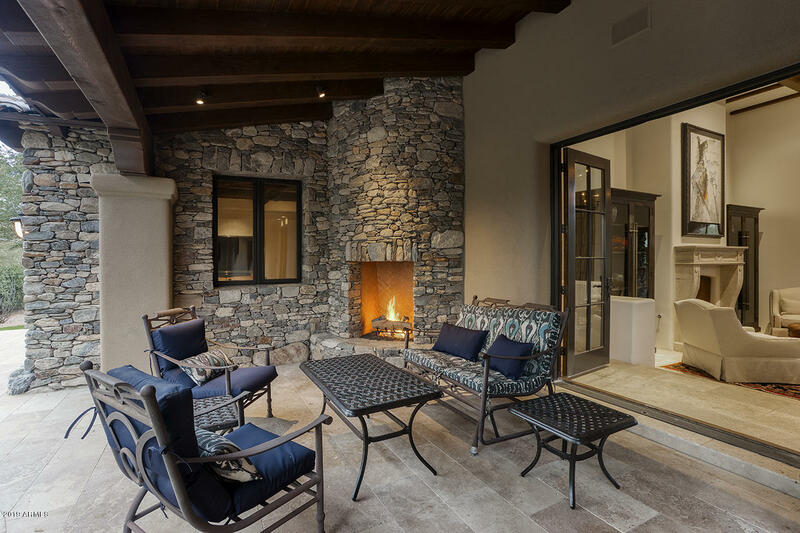 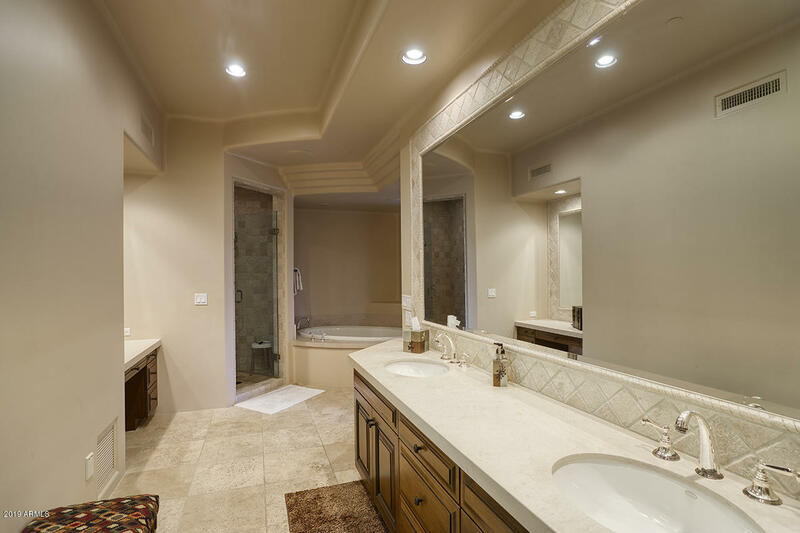 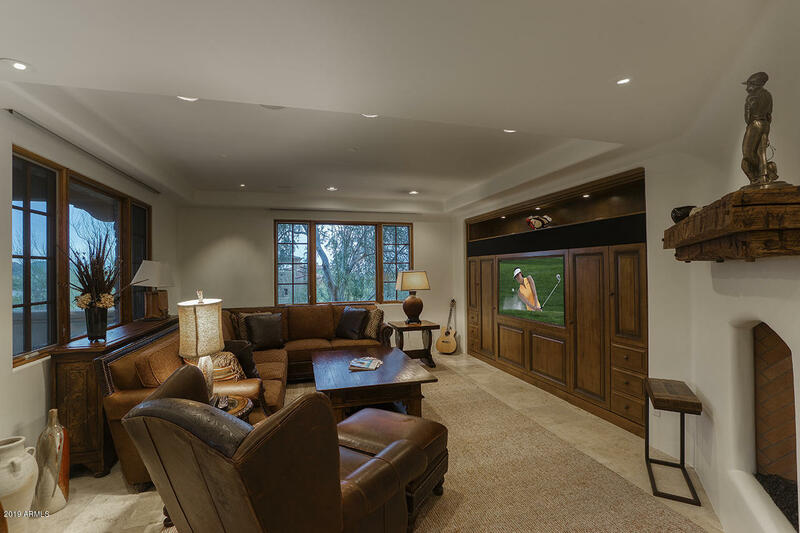 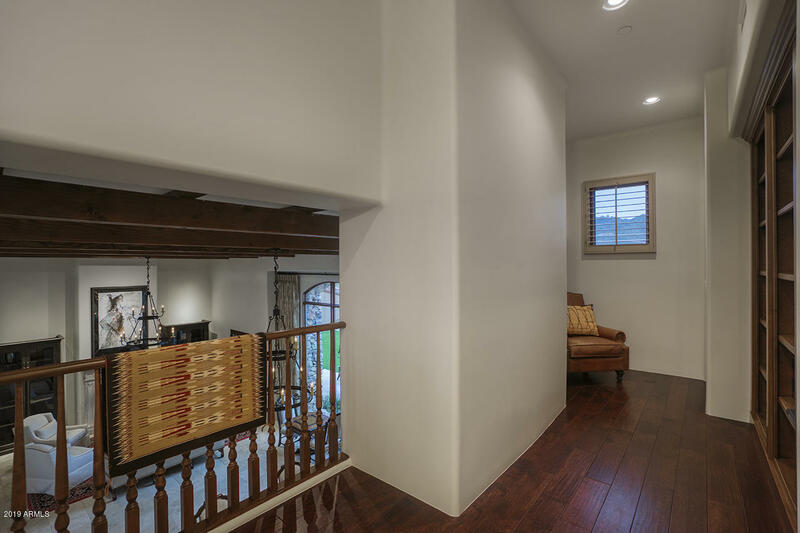 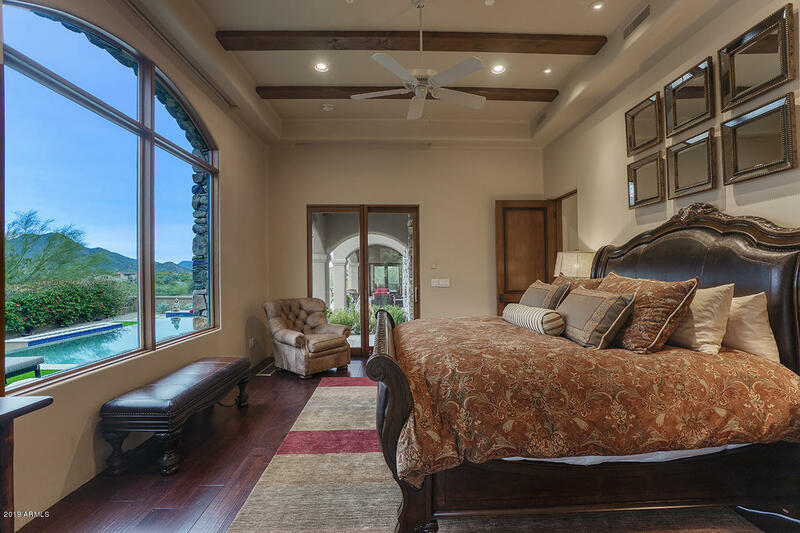 Timeless finishes throughout create warmth and sophistication with wood beamed ceilings, classic wood and travertine flooring, handsome custom built-ins, and seven fireplaces. 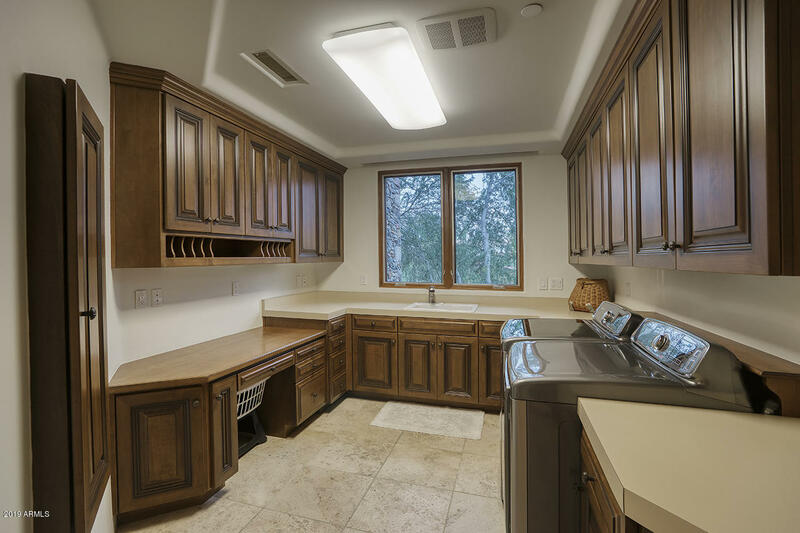 Gourmet kitchen features Viking appliances including fridge and gas cooktop, oversized island, elegant granite and tile accents, and conveniently opens to family room and covered patio, BBQ island and putting green. 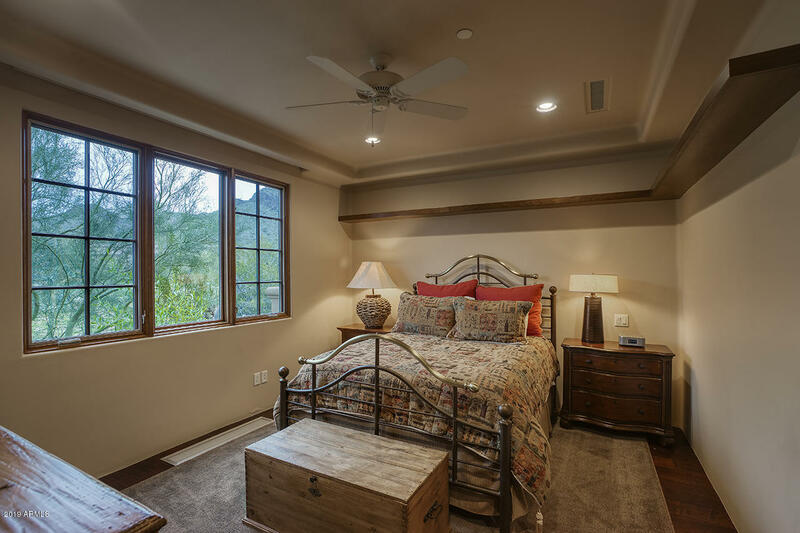 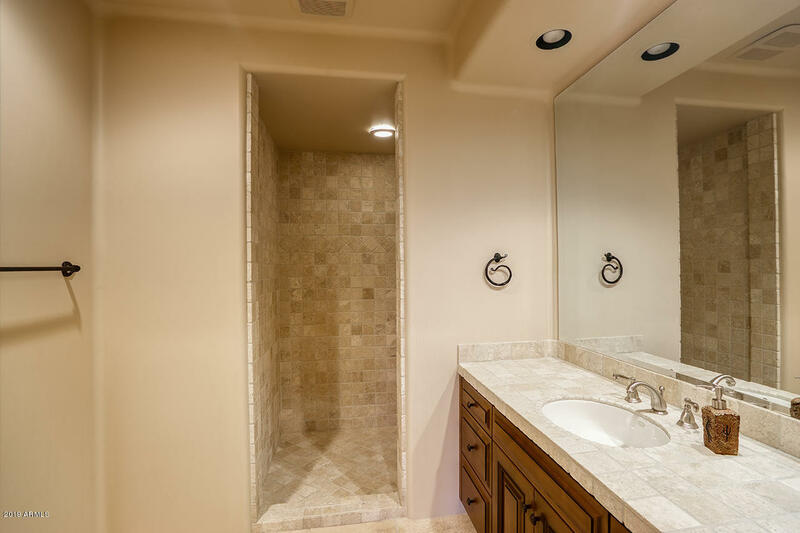 Suitably located minutes away from the Country Club at DC Ranch and golf course, walking trails, community centers, and Market Street shops and restaurants. 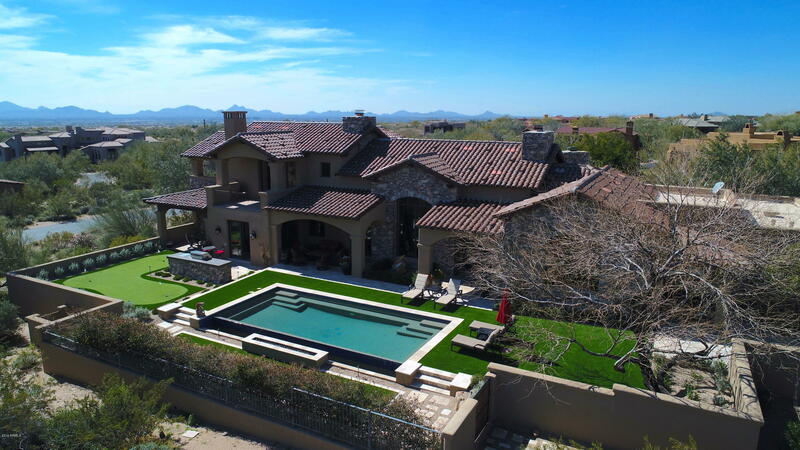 Esteemed Arizona living at its finest!